Dementia is the term used to describe a group of symptoms that occur when the brain is affected by specific diseases and conditions. There are many different types of dementia, both inherited and non-inherited forms, with Alzheimer’s the most commonly diagnosed type. People with dementia can experience different symptoms. Medicines have been developed that for some people can help improve symptoms or temporarily slow down the progression of their dementia, but the condition is progressive, which means the symptoms will gradually get worse. Alzheimer’s disease is the most common form of dementia, it typically begins with lapses in memory, mood swings and difficulty in word finding. Later the person may become confused and may find it difficult to understand what is being said. Vascular dementia describes all forms of dementia caused by damage to the blood vessels to the brain. Symptoms can occur suddenly after a stroke or over time through a series of small strokes known as multi infarct dementia. Including Pick’s disease, Frontal lobe dementia is a form of dementia where damage to brain cells is more localised than in Alzheimer’s disease, usually beginning in the front part of the brain. Initially personality and behaviour are more affected than memory, but in the later stages symptoms are similar to those of Alzheimer’s disease. This form of dementia gets its name from the tiny spherical structures made of proteins that develop inside nerve cells. Their presence in the brain leads to the degeneration and death of brain tissue, affecting memory, concentration and language skills. People with Lewy bodies may have visual hallucinations. They may also develop physical problems such as slowness of movement, stiffness and tremor. As our population continues to grow older, more and more of us are likely to know someone living with dementia and it is important to know you are not alone. 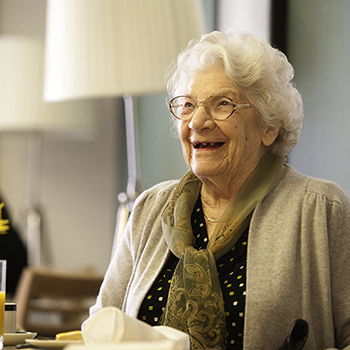 Knowing how to care for a loved one who may be experiencing the symptoms of dementia can help them to continue to live happy and fulfilling lives.